Like the rest of South East Asia Vietnam experiences the South East monsoon from May till October in Ho Chi Min, October till Jan in Hue and September till Jan in Danang. Average rainfall is experienced throughout the year in the highland states of the north. Check out typhoon warnings if you are heading to the Mekong, or coastal areas of Nha Trang, Hue and Hoi An where low lying areas are at high risk of damage and flooding. The trains in Vietnam are fairly comfortable and provide pillows and a sheet. Although one girl found she woke up with bed bugs having bitten her face, so do be careful and you may wish to prove your own sleeping gear. We bought a hard sleeper, which was comfortable enough, as there is a 2cm mat. You are not sleeping on wood! Non-AC trains are booked up often a week in advance by locals and the AC trains are more expensive. It’s a good idea to fly the longer journies along Vietnam from Hanoi to Hue, Danang to Nha Trang, and Nha Trang to Ho Chi Minh City for example, but this does always depend on your lenth of stay. Vietnam Airlines has a monopoly on domestic routes in Vietnam. The good news is that prices are ok if you book a little while in advance. Buses are the cheapest option, but the least comfortable, especially for long journies. It is worth noting that if you are a long person then you may have trouble with the sleeping class that are not made for long people! Moc Bai (Vietnam) to Bavet (Cambodia) is the most popular border crossing and on the main bus route between Ho Chi Min and Phnom Penh. Tinh Bien (Vietnam) to Phnom Den (Cambodia) Southern boarder near Chau Doc boat access via southern Cambodia. It is a land crossing mainly used by locals. A land journey up into Cambodia on highway 2. Vinh Xuong (Vietnam) to Kaam Samnor (Cambodia) is a popular crossing amongst independent travellers. Hanoi: A beautiful colonial and yet modern city, but still pretty hectic due to the roar and hoots of the mopeds racing around. Make sure to walk consistently judging traffic. The key to crossing a road is to look at the drivers, dont turn back or make sudden moves. It is easy, but the key is to make your moves predictable. Hue: A beautiful city that we think people don’t give enough time. The imperial city is the highlight of everyone’s trip, but hiring a motobike to drive yourself or with driver to explore the temples, pagodas and tombs in the countryside. Thanh An beach is popular with locals and a long stretch of island. A rural area of Vietname where you see how people live in the country. Hoi An: A small fisihing village that has been over run with tourists and tailors that are not actually as cheap as other countries, although they do produce good quality, import material that is of a western standard. Around Hoi An there are a few options, but not as much as around Hue. Ang Bang Beach just 10 minutes to the north of Hoian old town. Lang chai Thanh Nam fishing village is worth a village to see how the locals fish. 10 mins away by boat on the other side of the old town. Lang moc kim bong carpenter village to see products being made from bamboo and others carving furniture etc. 20 mins by local boat, which is fun on its own. Tra Que vegetable village. Where you can also help plant and get involved for a small fee (approx 10- 20,000vnd). 15 mins away. Cham museum is en route to the marble mountains (see below) and shows off all the ornate marble statues. 20,000vnd to enter. Marble Mountain: 30km or 40 mins away from Hoi An. Table top mountains that have been revealed through softer rock erosion. Marble statues are still produced from these mountains. Myson Highlands: 1- 2 hours away from Hoi An. $5 by tourist bus. 60,000vnd to enter the temple site. UNESCO registered. My Son is the major site in Vietnam from the ancient Champa Kingdom. Unfortunately, events during the American War destroyed many of the site’s temples, but bomb craters that can be seen are another point of interest of the site. Generally to head south from Hoi an or Hue there are two options. The much more popular coastal route or the mountainous route. The mountains south of Kon Tum make it difficult to catch public transport or to reach the Vietnam interior south of Kon Tum to Buon Ma Thuot. Yet this area is spectacular and gét you truly into the countryside. ﻿﻿﻿﻿﻿﻿﻿﻿﻿﻿﻿﻿Kom Tum: Kontum is a relaxed little town with few sights in their own right. What nevertheless puts it on the map of interesting places in Vietnam are the surrounding minority villages, including settlements of the Sedang, Bahnar, Jarai, Gieh Trieng and Rengao ethnic groups. Each village has a Rong, a huge and impressive communal house where the villagers gather for special occasions. B1DV (Tell:862 340; 1 D Tran Phu; closed Sat) Exchanges US dollars and euros, and gives cash advanceson major credit cards. Kon Turn Tourist (Tell: 861626; 2 D Phan Dinh Phung; 8-11am & K30pm) In the Dakbla Hotel, staff can help answer queries and arrange trekking tours, overnight stays in villages and boating trips on Yaly Lake and the Dakbla River. kontumtourist@dng.vnn.vn arrange visits to villages and homestays in advance to ensure it is possible. Easy riders give you the option for around $25 per person per day where you can make the mountain journey comfortably, taing in the scenery over 2.5-3 days. Permits are often required to enter most of these central districts and travel with a guide and private transport is easier, but it is doable alone by hiring your own bike for around 100,000vnd per day. Yet for this option you need to return the bike to the original destination. Of course you can always buy one for around $250- $300. The hills of Vietnam, waterfalls, luscious hills, walks and drives. Home to great Vietnamese coffee and its only source of wine. Prenn Falls, At the foot of Prenn Pass, about 10km outside of town. Open daily until 5PM. Admission fee under US$1. A very common stop on a typical Dalat tour, Prenn Falls is quite beautiful but is a lot more fun when you’re hiking it than just taking pictures of it. Pongour Falls, 30km south of town on highway 20, it’s one of the largest and widest waterfalls in Vietnam and during the wet season is a magnificent sight. Lang Biang mountain. The 1,900m peak is reachable by a paved path, ideal for a 3 hours hike. Also visit the minorities village under the mountain foot. Walks take you out into the country, but a quicker alternative is renting a bike. You can visit a traditional Lat village where the highlanders live to see an alternative Vietnamese lifestyle, marvel over vast lakes and look of into the distant hills. Ho Suoi Vang (Golden Spring lake). Rather unspoiled scenery. Gougah falls are approximately 40 km from Da Lat. The fall is located 500 m to the left of route 20. Guga is 17 m high. Chicken Village, a Koho minority people’s village where a huge concrete chicken stands above the wooden houses. The local silk factory where you can watch the whole process of producing silk scarves and other finery at reasonable prices, but not masively cheap as the amount of tourism is fairly low. Elephant waterfalls that are numerous falls really set in lush mountainous scenery. Pleiku town marks the junction of Routes 19 and 14 leading to Kon Tum to the north, Buon Ma Thuot to the south and Qui Nhon on the Vietnamese coast. Most travellers who find themselves here tend to be on the way to somewhere else as the town itself is fairly charmless and while the surrounds are just as mountainous as the provinces to the north and south the infrastructure to explore them is both undeveloped and expensive. Lao Island (Monkey Island): 140,000 dong per person, leaving at 08:00 and returning at 15:45. animal acts, rowing, cave visits and even go-karting. Another heavily touristic tour. Nha Trang: The beach and tourist of hub of Nha Trang has exploded in 4 years since I was there last. The local mud maths are still there but surounded by high rise hotels, charging high prices per night. Here expect to pay $15- 20 for a double room rather than the average $8- 10. If heavy drinking, buckets of tourists and buckets of cocktail then here is the place. There are loads of beach activities, but sellers become annoying and dampens the relaxing beach holiday you wanted. Instead, Tuy Hoa (approx 125km north of Nha Trang) for around 50 km and you will start to run into deserted beaches. Infrastructure around here is still starting so don’t expect people to speak much english nor for there to be many restaurants to eat. The Ba Ho Falls are around 23km north of Nha Trang. Ask around if you can as the turn off is obscure and just a stone pillar. 5,000vnd admission. Da-Bia, otherwise known as Gravestone Mountain, 27km to the south of Tuy Hoa provides a good trip where you can drive and overlook the beaches below. Ho Chi Minh City: The craziest place in Vietnam. A wide road with 17 mopeds raring up to mow you down! The war museum is very interesting to visit and has some really unique artifacts and take on the Vietnam war… see what you think. Cao Dai Temple at Tay Ninh on the Cambodian Border. Cu Chi Tunnels are further on from the Temple (above). Around 250km tunnels built by the Viet Cong, which allowed them to move around enemy territory including the US military base at Dong Du. Mekong Delta: The river is the world’s 12th largest in terms of length and 10th largest by volume draining an area of 795,000 km². The waterfronnt, often stilted villages and floating markets are one of Vietnam’s most interesting attractions for us. Interestingly it is known as Lower Cambodia as it was ruled by the Khmer Rouge (Cambodia). The vast number of fisherman and the richness of the deposits mean food here is great and cheaper than elsewhere in the country. Continue into Cambodia via the river border crossing at Vinh Xuong near Chau Doc, which can take between 4 and 5 days to Phom Pen. There are many possible stop offs though, where you can see smaller villages and get away from the tourists. To get to Cambodia via Vietnam there is a long boat ride of 5 days, but it is tough going and you do not see much scenery. There are Mekong cruises, but unfortunately these are more pleasure, let’s go round in a circle affair, rather than to travel from A to B to Cambodia from Vietnam itself. You can go to the boarder by bus. Ho Chi Min to My Tho, My Tho to Can Tho, Can Tho to Chau Doc. Then you can take the fast both taking 6 hours to Phnom Penh, which takes in the Mekong in Vietnam before heading to Cambodia. Despite its quiet appearance, Buon Ma Thuot is very quickly developing. However, most of this development is from internal investment rather than the tourism industry. There are very few tourist sites, but the people are friendly, the coffee is great, and a stop here is well worth it to get off the beaten track and see Vietnamese city life that does not revolve around tourism. It is also an excellent base of operations to visit Yok Don National Park, Ban Don Village, and Lak Lake. Visit Ban Don village, ride elephants. From center of Buon Ma Thuot, you can catch a bus every 30 minutes to go to Buon Don (Ban Don). Note that you should wait for the bus at Coop Mart in order to have a seat. Otherwise, the bus is normally full. Places nearby to visit, base in this city; Yok Don National Park, Ban Don Village, and Lak Lake. Other national parks on the way to Dalat: Khu Bao Ton Thien nhien Nam Kar and Vu’on Quoc gia Chu Yang Sin. The largest of Vietnam’s nature preserves, Yok Don National Park (Vuon Quoc Gia Yok Don; 783 049; yokdon@dng.vnn.vn) has been gradually expanded and today encompasses 115, 545 hectares of mainly dry deciduous forest, with the beautiful Serepok River flowing through it. 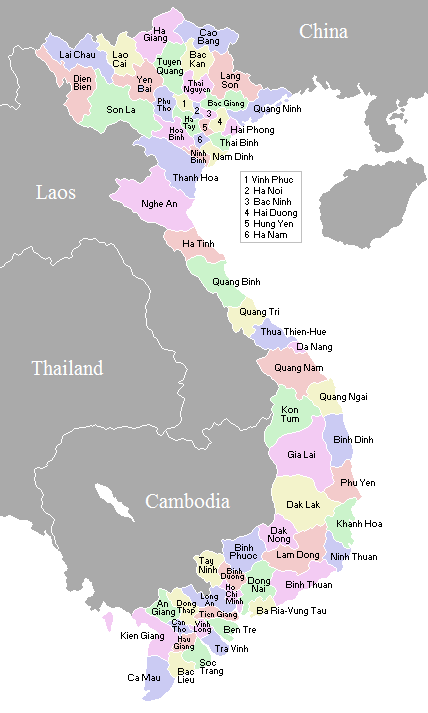 There are 17 ethnic groups in the region, including a significant number that have migrated from northern Vietnam. The locals are mostly Ede and M’nong, a matrilineal tribe. It has numerous trails that make for good day trips and overnight camping trips, but it’s only recommended to visit between October and December. As for the abundant wildlife, word is that most treks don’t come across any of it, though the treks themselves are good enough to compensate. A guide is required to explore the park, which is close to what are considered to be sensitive areas near the Cambodian border, so most people arrange a tour out of Buon Ma Thuot that includes transport and a guide. This can be rather pricey, and you do have the option of showing up at the park on your own and trying to hire one of the guides based there — if one is available. A guide should cost 300,000 VND for one day, including a boat ride across the Serepok River to the park, with food and water not included. The heavily traveled trails in the park are completely devoid of wildlife, save a few lizards, insects, and occasionally a distant herd of buffalo. When To Go: Yok Don’s dry deciduous forest might detract from the park’s botanical diversity, but a large variety of animal species still roams the grounds. Did we mention that it’s dry deciduous forest? Over 75% of the year’s rain falls between May and September, and the average annual rainfall is about 1500mm. The park is located in a tropical monsoon region, but the humidity only ranges from 60% during the rainy season to 40% around March, which is remarkably arid for Vietnam. Temperatures hover between 24˚ and 26˚C all year long, with the highest temperatures coordinating with the wettest time of the year in May and the coolest during January. To get to Yok Don on your own, take a city bus that leaves from a bus stop on Ly Thuong Kiet St just south of Cafe 50A. It costs 10,000 VND. It’s a short walk from the main road where the bus drops you to the park entrance. If you have your own transport, from the town centre, head east on Phan Boi Chau St which turns into Route 1. There are a couple of forks, but it should be obvious where the main road is — if you’re unsure, ask the locals for ‘Ban Don,’ which is the district you’re heading to — they all know where it is. The park is 40km from Buon Ma Thuot. There’s a big, old sign marking an alternate entrance to the park 6km south of the main entrance — just ignore that. You’ll then pass the entrance to Ban Don, and then the real park entrance is about 4km further north. Admission to the park is 3,000 VND. Tours through an agency in Buon Ma Thuot start at US$60 for two people, including transport and guide, but not entrance fees, food, water nor accommodation. If you plan to camp in the park, you’ll have to bring your own tent — the park’s tents are all falling apart and they don’t rent them out anymore. Chu Yang Sin National Park is located in Lak and Krong Bong districts, Dak Lak province, 60 km to the south-east of Buon Ma Thout. The national park encompasses a range of high mountains in the northern part of the Southern Annamite mountains. The national park is centred on Mount Chu Yang Sin, which, at 2,442 m, is the highest point in the southern Annamites. The topography of the national park is characterised by steep slopes and narrow valleys. A southern beach that is popular with the Vietnamese and relatively untouched by foreign tourists. However if you are up for some serious beach action in paridise and barely anyone there (yet, it is getting there with a new airport planned! ), head to Phu Quoc. Off the South West cost and a plane or boat from dull Rach Gia. Go! You will not regret it. Great site you have got here.. It’s difficult to find excellent writing like yours these days. I truly appreciate people like you! Take care! !